In order for your website to achieve the level of success you are looking for, you need to engage in some type of online marketing. Currently, search engine optimization and social media marketing are two of the best ways you can promote your website and drive targeted traffic to your business. While SEO and SMM are two different entities, they are becoming increasingly intertwined thanks to the latest search engine algorithm updates released by Google. Google is now placing a larger emphasis on social signals to determine whether or not a website is providing its users with quality content. The thinking behind Google’s algorithm updates is that if your website does provide value to your readers, those readers will want to share it with their social circles via their social media accounts. If your website has a lot of backlinks coming from these social media websites, then it will be rewarded with a higher ranking in the search results. Because of these recent Google algorithm changes, it is important for businesses to include social media marketing techniques with their SEO campaigns. This will allow your website to obtain the highest possible rankings within the search results. There are a variety of ways that you can improve your website’s social signals in order to obtain a higher ranking within the search engine. One of the easiest strategies you can use is to include social media buttons on your website’s content. 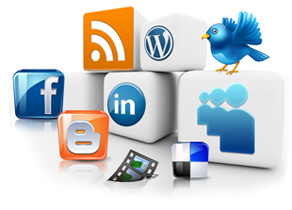 This will enable any visitor to your website to easily share your content through their social media accounts. If someone has a large following on a social media website, their followers may see your link posted on their account and share it with their followers, greatly improving your website’s credibility in the eye’s of the search engines. Another way to improve your social signals is to actively market your website on the most popular social media websites. Creating a Twitter, Facebook, LinkedIn and Pinterest account for your business will allow you to raise the awareness of your company on those websites while simultaneously connecting with their users. Once you have created your accounts, you will need to actively engage with people on those social media websites. By interacting with people on Twitter, Facebook and LinkedIn, you will be able to form meaningful relationships with them. This will lead to those people following your account and seeing all of the new content that you produce. After you start to build a following for your social media accounts, you will want to provide your followers with nothing but high quality content. When you provide your visitors with nothing but great content, you will become an industry leader and viewed as an expert in your field. This will allow your business to gain credibility and the trust of your followers. Once people view your business as an industry expert, they will be more likely to share your content with their social media followers and help build valuable backlinks for your website. As search engines start to place more of an emphasis on social signals when determining where your website should be ranked, it is important for businesses to add social media marketing to their overall SEO strategy. With an increase of links coming from social media websites, a business’s website will move up the search engine results as Google will view the website as an authority figure. Guest Post provided by Ben Sawyer. 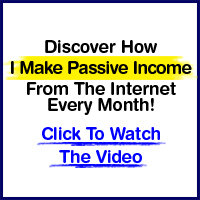 Ben is well known blogger and Internet Marketing Strategist. Here is his advice about how to implement social signals into SEO to increase online visibility and gain more visitors, which he already implemented into a campaign he done for Vandko Candles, New York based company. Share buttons are very important for every post especially social media profile buttons are also very important for your website to enhance your traffic and influence on social media sites. We are living in social society everyone using social media sites who is using internet therefore social media sites are fast, wide and effective platform to advertise your business. Thank you for nice posting.I like this information. yea i do agree with you this is the good way to use social media for SEO purpose . you share very good information ,it is very helpful for me .